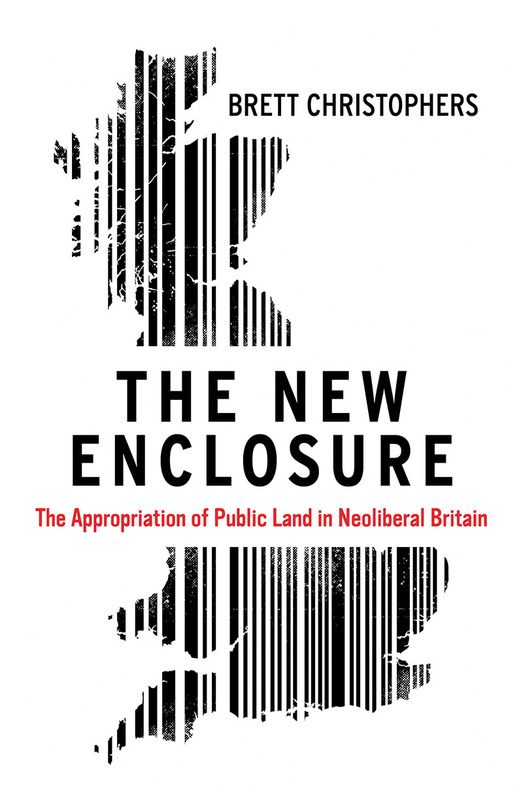 Here Peter Hetherington reviews Brett Christophers’ new book on enclosure in neoliberal Britain. Jason Hickel’s blog, posted yesterday, also focuses on enclosure and the role it has played as the engine of capitalism, enclosing things that were once free so that people have to pay in order to access them. With barely a flicker of interest from MPs and peers, the UK parliament has just been presented with another chapter in the ‘great sale of public land’ saga. It is truly an epic tale: flogging off local government-owned farm land in what sometimes appears a fire sale. This is part of a wide-ranging sale of state land, chronicled by Brett Christophers in a book called The New Enclosure: The Appropriation of Public Land in Neoliberal Britain. * The aim is to fill a gap left by huge cuts in council funding in the name of austerity. Who cares? We all should. In March (2019), the annual report on ‘Local Smallholdings in England’ to a formerly treasured parliament – remarkably, once a scene of potentially far-reaching, progressive land reforms – recorded that the area of county council-owned farms in England shrank by almost 3 per cent in the year to March 2018. That’s a cool 2,773 hectares (6,852 acres). Next year will be equally depressing. The sale is continuing apace. This county council farm estate, across 43 local authorities – which has probably shrunk by a third in 20 years – represents one of the great initiatives of David Lloyd George, the last prime minister to fully embrace land reform, whose 1910 ‘People’s Budget’ (as then chancellor), and subsequent action, squeezed the rich with taxes they claimed were punitive, until their collective pips squeaked. ‘Who made 10,000 people owners of the land and the rest of us trespassers in the land of our birth?’ he famously asked. What’s the point of county councils holding such a large farm estate anyway – 83,600 hectares (205,097 acres) on the current count – cry some on the hard right, who revel in an ever-shrinking state, no matter the consequences and the cost in jobs and valuable assets lost? The county council estate – inaugurated and funded by Lloyd George’s government – is important because it offers one of the few paths into agriculture for young aspirants keen to work the land. They are, as the Tenant Farms’ Association says, a national asset to be treasured, particularly in a country where domestic food production is falling, and we produce only 60 per cent of the crops we’re capable of growing! The shrinking of this estate speaks volumes about the indifference – ignorance? – of the great English public to a wide-ranging sale of state land . Since the 1970s, Christophers notes, almost half of all public land – 2 million hectares, or 10 per cent of Britain’s land area – has been sold: council farms, equally valuable assets in new towns, NHS estates, forests, and much else besides. The title of the book is telling in itself. Who even recalls, historically, the old enclosures? They were particularly insidious, according to the writer and land reformer Kevin Cahill, because the various enclosure acts in parliament represented a great land grab from the common people ‘at a time when … they had neither representation nor power’. According to the late academic and writer Raymond Williams, over 2.4 million hectares (6 million acres) of land, a quarter of all cultivated acreage, was appropriated from the second quarter of the 18th century to the first quarter of the 19th, ‘mainly by the politically dominant landowners’. For the old enclosures, read the current equivalent: public land made private, and hence largely out of bounds, mainly after 1979 since the Thatcherite revolution. But there’s a deeper issue here. If the case for Scottish land reform was driven by the powerful emotions unleashed by the Highland Clearances 200 years ago (the brutal removal of families to make way for sheep), why do the English enclosures not arouse similarly powerful emotions to drive land reform south of the border? Scotland now enjoys reforming legislation, with a vision to double community land ownership from the current level of over 500,000-plus acres (202,000-plus hectares) – urban land is now a priority as well – spearheaded by a new Inverness-based land commission. England, meanwhile, is quiescent in the face of continuing sales of public land. While Lloyd George authorised the cash for councils to buy land in the 1920s, it is difficult to think of other government actions that matched his reforming zeal. That much of his action took place 100 and more years ago speaks volumes about the passivity of successive governments towards land reform. True, the 1947 Town and Country Planning Act passed by the postwar Labour government did ‘nationalise’ the right to develop land – once seen as a precursor to the public ownership of all land (as vaguely promised in Labour’s 1945 manifesto) – but subsequent planning ‘reforms’ have sadly diminished this 1947 legislation. Partly as a result of the great county council sell-off, local government owns only about 40 per cent as much land as it did four decades ago. The large NHS land holding has shrunk by almost three-quarters. Ditto much of the land bought by the state (at agricultural value) to build a string of postwar new towns. Forestry Commission land – another legacy of the Lloyd George reforms – is similarly seen as ripe for a sell-off. The list is endless. As Robert Martin, treasurer of the Tenant Farmers’ Association, noted recently (when another county council, Staffordshire, announced plans to sell 16 of their 83 farms), the national interest should be uppermost when these sales are considered, especially if the land is lost to farming – at a time when we should be ramping up domestic food production. If would be good to think that this well-researched and extremely readable book might mark the beginnings of a quiet counter-revolution to successive land grabs induced by Thatcherism – or at least the stirrings of a national debate. * Brett Christophers (2018) The New Enclosure: The Appropriation of Public Land in Neoliberal Britain, Verso. 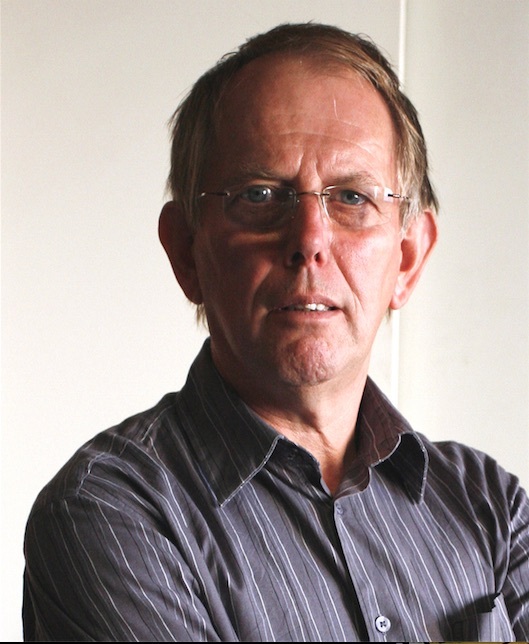 Peter Hetherington, former regional affairs editor of the Guardian, is the author of Whose Land is Our Land. The use and abuse of Britain’s forgotten acres. Policy Press, 2015.